As the first issue of SOS hit the shops in October 1985, Talking Heads were already climbing towards their highest UK chart position. The song was 'Road To Nowhere'. Engineer Eric Thorngren tells the story of its recording. There aren't many artists who can convincingly dress up a depressing topic with a catchy, upbeat, eminently danceable musical arrangement. 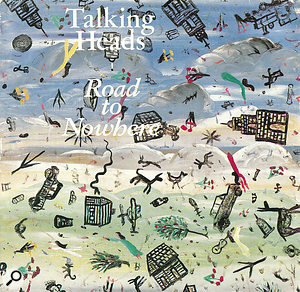 Yet Talking Heads managed it with 'Road To Nowhere', a UK Top 10 hit that gleefully condemned the prevailing yuppiedom and rampant consumerism of the mid‑1980s. The closing track on the Little Creatures album that also spawned the hit single 'And She Was', 'Road to Nowhere' actually peaked at number six on the British chart, and although it didn't crack the Top 50 on the Billboard Hot 100, it represented the mainstream apotheosis of an erstwhile art school band whose often‑experimental output comprised an eclectic mixture of punk, pop, funk, world music and the avant‑garde. The group's previous album, Speaking In Tongues (1983), had consisted of joint compositions arising largely out of jam sessions by the quartet of singer/guitarist David Byrne, drummer Chris Frantz, bassist Tina Weymouth and keyboardist/guitarist Jerry Harrison, recorded in tandem with no less than 10 backing singers and musicians. But Little Creatures saw Byrne resume his position as band leader and chief composer, on an even more radio‑friendly pop record that utilised other musicians only to embellish the core foursome. 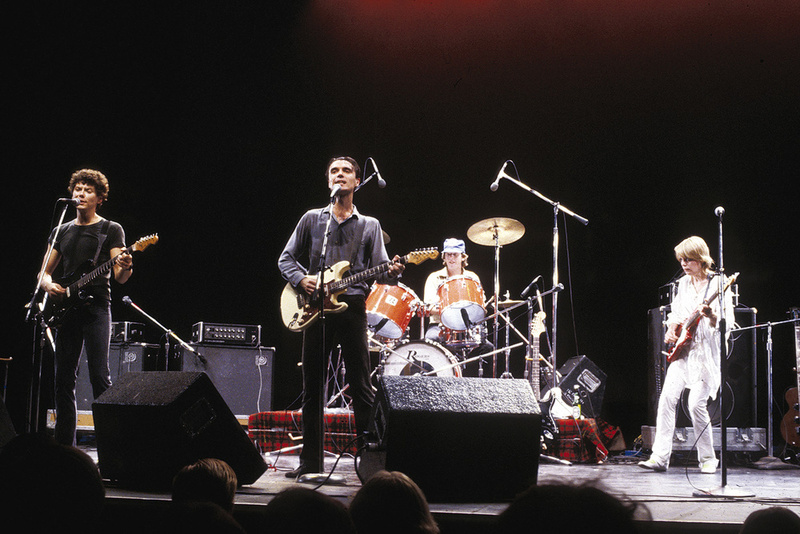 After starting life with the working title of Wild Infancy when rehearsals commenced in February 1985, the album's name had transformed into In Defence Of Television by the time Talking Heads were ready to start recording at New York City's Sigma Sound Studios later that same month. Sitting behind the MCI console in Studio 4 was engineer Eric 'ET' Thorngren, who had just mixed a Talking Heads live album and who, on Little Creatures, also assisted the group members in their combined efforts as producers. A native New Yorker who began singing and playing guitar in his mid-teens, Thorngren founded a band named Bulldog with two former members of blue‑eyed soul group the Rascals — guitar player Gene Cornish and David Byrne, New York, 1985.drummer Dino Danelli — in 1972, and it was the recording of a couple of albums with this outfit that sparked his interest in engineering. Accordingly, by the middle of the decade Thorngren was employing a TEAC four‑track machine, as well as a small mixer, to record the demos of fellow musicians, and thereafter he secured a job at All Platinum Records in Englewood, New Jersey. Subsequently renamed Sugar Hill Records, this involved him in early‑'80s projects with rap artists such as Grandmaster Flash, Grandmaster Melle Mel, the Sugarhill Gang, Crash Crew and Funky Four Plus One. A 1984 assignment in England to mix the only studio album by the ex‑Squeeze pair of Chris Difford and Glenn Tilbrook resulted in their manager, Shep Gordon, introducing Thorngren to Island Records' Chris Blackwell, who then handed him the job of selecting and mixing the tracks for the Legend greatest hits compilation of Bob Marley & the Wailers. It is still the best‑selling reggae album of all time. It was all a case of networking. While Thorngren was working on Legend at Compass Point in the Bahamas, he encountered the husband and wife team of Chris Frantz and Tina Weymouth, who had founded the new wave dance/rap outfit Tom Tom Club as a side project from Talking Heads. Both were familiar with Thorngren's work at Sugar Hill Records, and since they weren't happy with the mix of Talking Heads' recently completed Stop Making Sense live album — the soundtrack to director Jonathan Demme's highly acclaimed concert movie of the same name, part‑financed by Chris Blackwell's Palm Pictures — they asked Thorngren if he'd like to take a shot at it. Permitted by Blackwell to take a break from Legend, Thorngren flew to New York, where he mixed the song 'Once in a Lifetime' on an SSL at Sigma Sound, and was then asked to do the same for the entire album. This took place not only at Sigma, but also at Soundworks and Right Track. At that time, Sigma was Talking Heads' favourite studio, and ET found himself back there after he'd been asked to record the band's next album, Little Creatures. 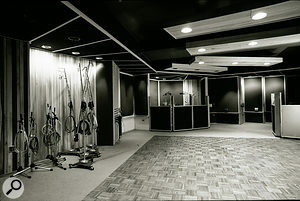 The live room at Sigma Sound, New York. 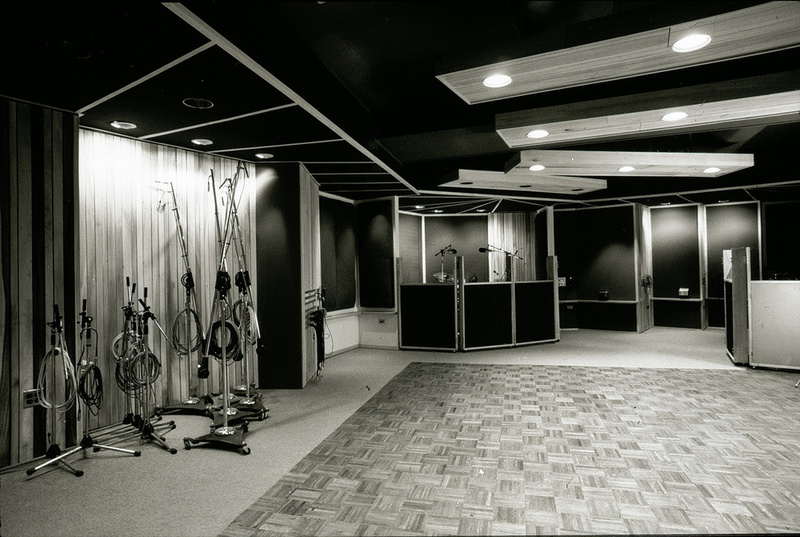 Founded in 1968 by Joe Tarsia, the original Sigma facility in Philadelphia housed Studios 1, 2 and 3, whereas the New York branch, opened in the late 1970s and featuring a couple of SSL rooms, started with the MCI‑equipped Studio 4. Whereas Tina Weymouth played her DI'd bass in the control room, listening to the Yamaha NS10s on which Eric Thorngren did most of his monitoring, Chris Frantz's drum kit was on the right side of the live area, Jerry Harrison was in a nearby booth with his Hammond, Emulator and DX7, and David Byrne was in a booth to the left. There, playing a Fender Strat — recorded direct, as well as through a Laney GH120 amp that was miked with a Shure SM57 centred on the speaker in a smaller, adjacent booth — Byrne sang into a Neumann U87. This went through the console's mic pre and a Universal Audio LA2A going to tape. 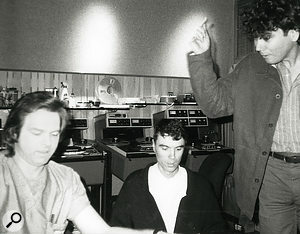 Eric Thorngren (left) in the studio with David Byrne and Jerry Harrison. Thorngren spent a day setting everything up before the tracking sessions commenced the following morning at Sigma Sound. Then, once the band members ran through a particular number that was being considered for recording, he would make any necessary adjustments to the miking, as well as to the setup of the drums and various amps. These, as it happens, didn't include David Byrne's lead vocals, which were retained from his guide performances. Thorngren's appreciation for Byrne's talents only increased in 2004 after ET and Jerry Harrison remixed all the Talking Heads albums in 5.1 for the Brick box set. Underscoring this point is the fact that, while working on Little Creatures, Byrne was simultaneously doing the same for Talking Heads' next album, True Stories, which would serve as a sort of soundtrack to the film of the same name that he wrote, directed and starred in. (Some of the songs were actually performed by actors in the movie.) Consequently, when Eric Thorngren switched to Sigma Sound's much larger, SSL‑equipped Studio 5 for the mix of Little Creatures, the band members would often be in the control room, rehearsing some of the songs for True Stories. "I would get through a mix or two,” Thorngren recalls, "and then I'd switch the board over and record some tracks for True Stories on the other side of the glass, before returning to the Little Creatures mix while they rehearsed some other tracks. As it turned out, when we did a track from True Stories after they had rehearsed it and figured out how to put the song together, David's vocals were the ones we used. They were great. He would put the track together as one solid thing and it worked beautifully. "We would spend four or five hours on a song and we'd never compile from multiple takes,” Thorngren says. "We'd use one complete take without cutting between different versions. You know, it's all down to the drummer, and Chris has unbelievable timing. In fact, the whole band was really tight and at the top of its game back then, so I had no problems with tuning or any of that stuff. The only challenge I faced was with the tape recorders and the tape. Just over a week was spent recording the album's basic tracks, before most of the overdubs were then done on the SSL in Sigma's Studio 5. Among the most notable additions to 'Road To Nowhere' was the accordion suggested by Jerry Harrison, who played a guide part on the DX7 before Jimmy Macdonnell of Cajun outfit Loup Garou replaced it with the real instrument. Harrison also added a Hammond part, Saturday Night Live bandleader Lenny Pickett provided some sax, and this was augmented by the contributions of backing singers Erin Dickens, Diva Gray, Lani Groves, Gordon Grody and Kurt Yahijian; percussionist Steve Scale; and washboard player Andrew Cader. "For the accordion, I used a FET 47 on Jimmy Macdonnell's left hand, the low end, and an 87 on his right hand, the high end,” Thorngren recalls. "Even if he wasn't playing a lot of chords with his left hand, just the leakage from the right hand and the time difference would open it up a bit. "Andrew Cader played the washboard with spoons, he was unbelievable, and I tried a few mics on that before ending up with an [Electrovoice] RE20. With a condenser mic, it sounded really glassy and grating on the top, and there were no ribbons around in those days — they'd thrown them out. So I went with the dynamic mic and it worked really well. Thorngren, meanwhile, generally recorded everything as naturally as possible, so that the mix could then be taken in any direction he wanted. "In those days, having just come from R&B and doing all that rap stuff at Sugar Hill, I was into really clean recordings and I'd save a lot for the mix,” he says. 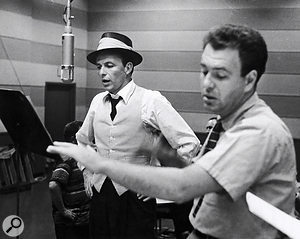 "After all, we might have an idea at the beginning of a song and this could evolve by the time we'd got to the end, so why force it? Also, in order to be mixing as I went along, I'd have to be running automation while I was recording, and in those days I just found that to be too scary. Now, with Pro Tools, it's so much easier, but on the board things would slow down and if you punched in it suddenly might not like you punching in. Sometimes, with the SMPTE tracks, the automation would go flying out, the faders would go to wide open — it was just crazy. "In the end, I'd have a plan for the type of ambience and effects that I wanted for the whole record, and I'd have it all set up so I could have everything up and running really quick. Then, if we wanted some unique things, like a slap delay or an abnormal drum sound, we would do some alternate patches. At the time, they had Delta Labs delay lines, and when I was at Sugar Hill I had worked in a Westlake room where a lot of stuff was direct. Well, I wanted to add a little reflection off the wall, so I would set up a couple of 30‑millisecond or 45‑millisecond delays, panned out, and I would slightly send the vocal and parts that needed a bit of space, as opposed to just being one little point. 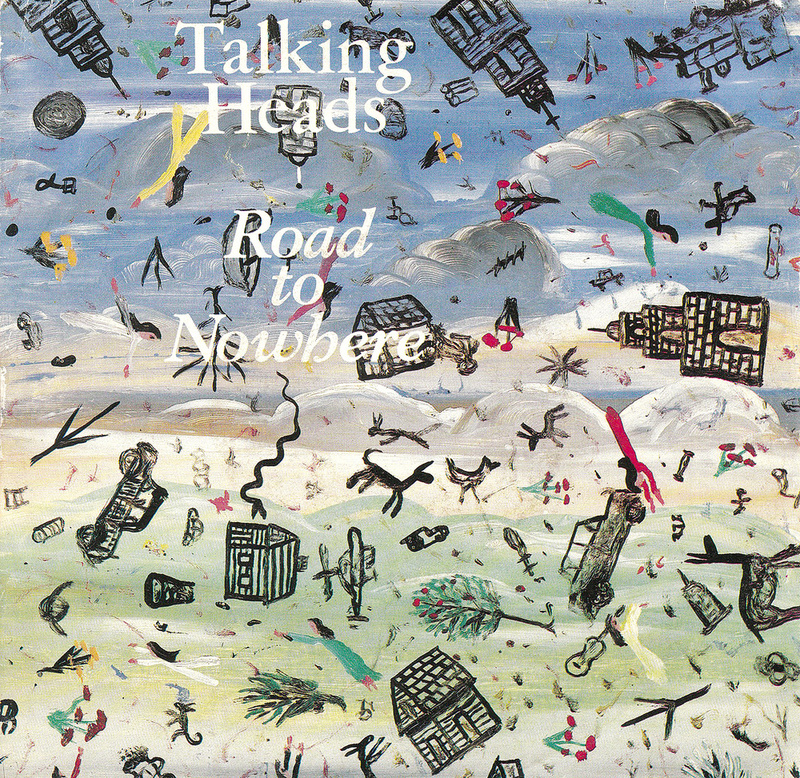 According to Thorngren, he and the members of Talking Heads were usually on the same page by the time he started to mix, and so they would leave him pretty much to his own devices until he was ready to call them in to listen. Jack Skinner mastered Little Creatures at Sterling Sound, courtesy of Eric Thorngren bringing him in on the project, as he did for all of his work back then. This he certainly achieved on Little Creatures, which peaked at number 20 on the Billboard 200 and at number 10 on the UK chart, while the Village Voice Pazz & Jop critics poll voted it the best album of 1985. Placing the spotlight squarely on the four main musicians, it successfully tempered their self‑aware embrace of the pop music mainstream with David Byrne's characteristically sardonic lyrics. And although it certainly would have sold in far greater quantities had the band supported the record with a tour at a time when Byrne was focusing most of his energy on the True Stories project, it did at least benefit from the quirky, surrealistic promo videos that he initiated, such as that for 'Road To Nowhere' which he directed with Stephen Johnson and which earned a 'Best Video Of The Year' nomination at the 1986 MTV Video Music Awards. Thanks to Ritch Esra of the Music Business Registry for his help in arranging this interview. Since 'Road To Nowhere', with its marching snare rhythm and omnipresent accordion, was unlike any other song on the Little Creatures album, Eric Thorngren actually felt that it might be better suited to the Texas setting of True Stories. Yet, while the song's demo was constructed upon the same cadence as that on the finished record, it featured neither the accordion or the a cappella intro, and as such it was one of the tracks that changed a fair bit from the demo stage. According to the sleeve notes of the Talking Heads compilation Once In A Lifetime, it was Byrne who suggested adding the choral intro, because he felt 'Road To Nowhere' was way too simple and boring. According to Thorngren, it was he who made the suggestion. Either way, it was the latter who created said intro by doubling the harmonies of Frantz, Harrison and Weymouth and blending these with the contributions of some New York jingle singers he knew.